Kit Harington as Jon Snow and Emilia Clarke as Daenerys Targaryen in “Game of Thrones,” which won’t be back until 2019. Winter is coming, my foot. 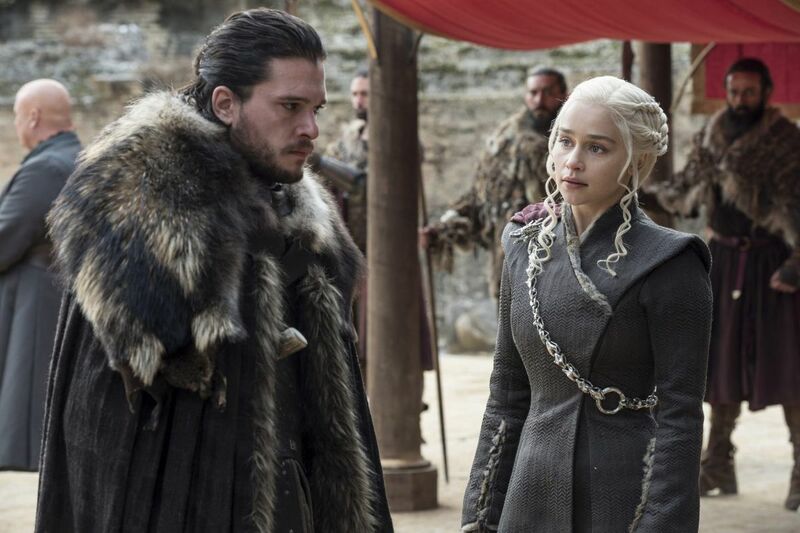 Adding insult to injury for the millions dealing with fallout from the non-fictional season, HBO chose Thursday to confirm, in a terse announcement, that the final, six-episode season of Game of Thrones wouldn't show up on any of our screens until 2019. "Your readers may be interested to know," began the premium cable network's statement about the delay in our learning the identity of the man or woman who ends up on the Iron Throne. It gave no reason for the delay, but actress Sophie Turner, who plays Sansa Stark, had told Variety in an interview published last month that the show wouldn't be back until 2019.